Well, it’s almost Halloween, kiddies and it just got me thinking about the scariest images I’ve seen as a kid. 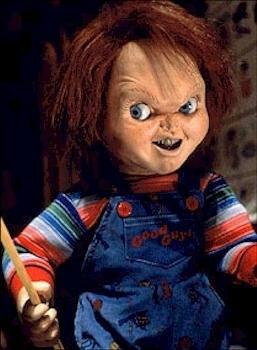 It’s funny how I never screamed at horror movies as a kid when I do now. Perhaps I was so scared that I might pee on myself or worst, got into such a trance as my crazy childhood imagination took the fear to the next level. Who knows? 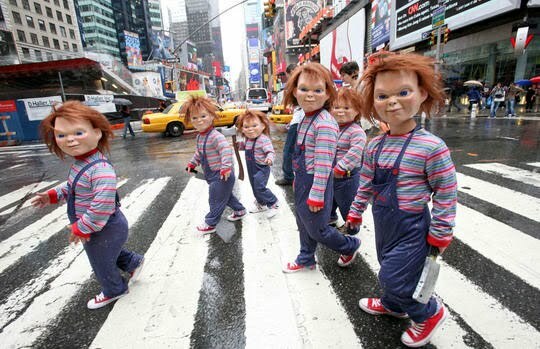 Anyway, here goes…TOP FIVE (By the way, these are just American movies. Some of the foreign monsters from my childhood were waaaayyyy creepier). I was never quite the doll-toting little girl so it was no surprise that Chucky scared the bejeezus out of me. Mad props to the person who designed his outfit---extra creep factor. Incidentally, how creepy is this? 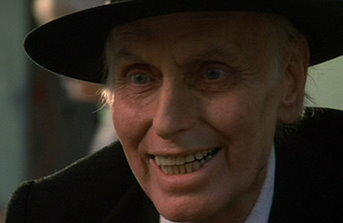 Me dear ole Pops took me to the movies to watch this scary old man from Poltergeist II. Rain + old man dressed in black suit singing = 6-year-old girl wetting the bed for a week (maybe longer---I’ve blocked that out of my memory). Thanks, Pops. 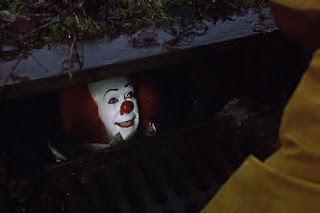 It, the clown that knew how to tap into your greatest fears. I checked street drains for some time while walking home from school. 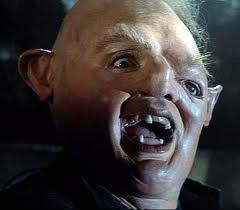 I’m not gonna lie…Sloth scared me the first time he showed his face on the screen. However, the Sloth-loves-Chunk bromance easily grew on me. playful sprite. Powered by Blogger.